Keep hot foods hot and cold foods cold at your concession stand or restaurant with this Carnival King half gallon size unprinted foil bag! 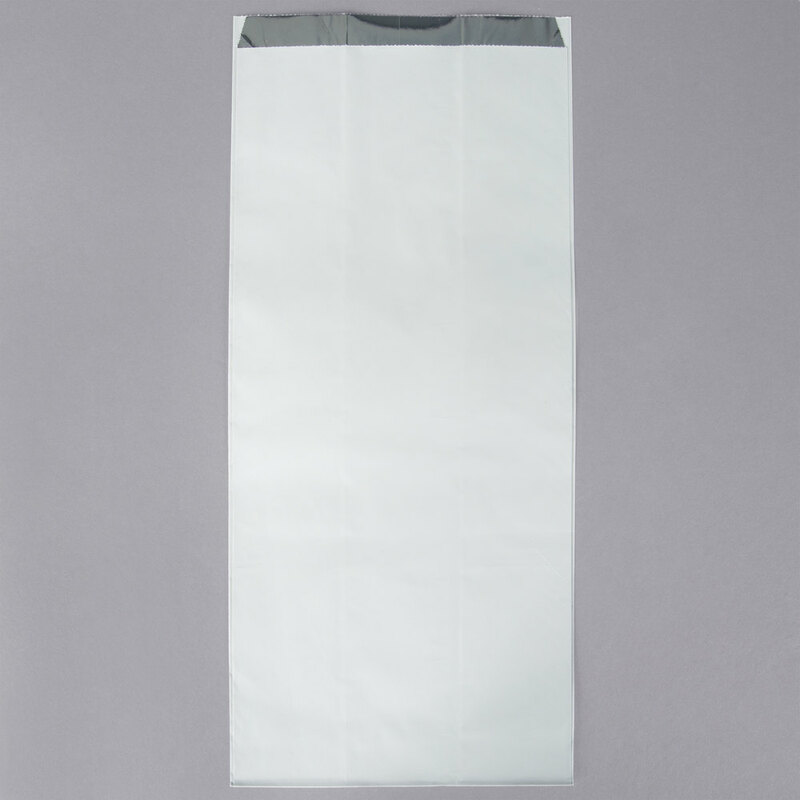 Since this bag is unprinted, it offers greater versatility for a wide variety of food items. Use it for fried chicken, hamburgers, oysters, and even cold items like shrimp. Its wide 4 1/4" gusset gives you extra room for packing in more food and can even fit a whole rotisserie chicken! Perfect for BBQ restaurants and take-out food items, this foil bag has an ample half gallon size capacity. Its non-vented design provides excellent heat, cold, and moisture retention, so your customers' take-out chicken or BBQ ribs stay hot and juicy all the way home. Thanks to its protective foil material, this half gallon size takeout food bag keeps your products warm without getting soggy. Serve a variety of concession foods or allow customers to grab items to-go with the convenient, practical design of this Carnival King foil bag!